It is amazing how much joy dogs bring that it is therapeutic (at least for me)! I do not and have never had a dog of my own but I love them! 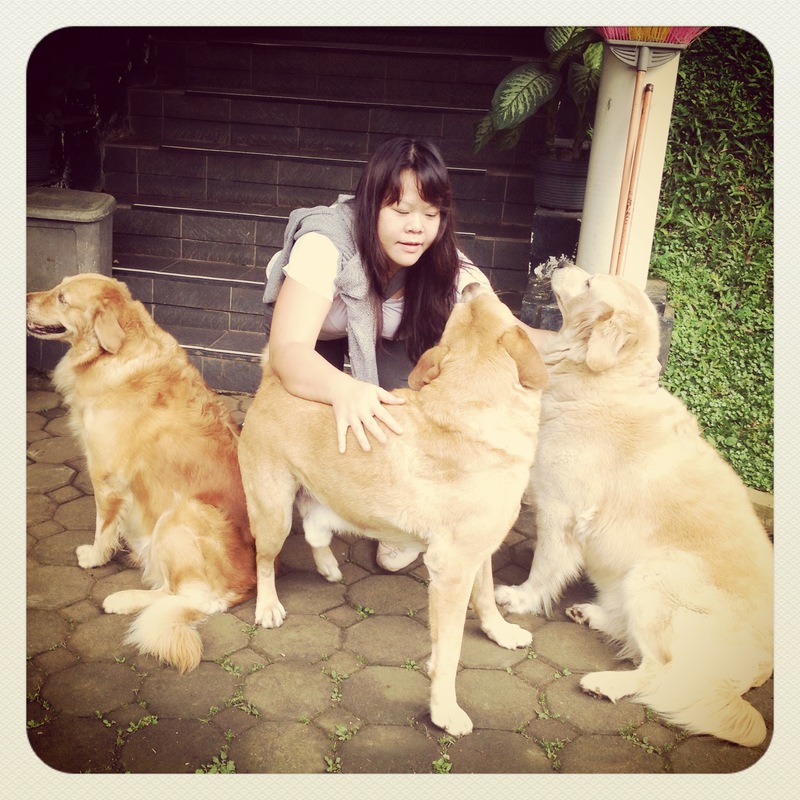 So these three dogs whom I met in Bandung Indonesia brought such joy and fun to the 4 days stay. Sometimes, I think it is easier to relate to dogs than to people. They are constantly loving, without expectations. They just want your company and nothing else. Perhaps this is why it is therapeutic for me. Just the unconditional love from these furry ones is enough to melt my heart and put me at ease. Last Friday was the marriage reaffirmation of two couples whose lives have blessed me tremendously by being Godly examples. The first couple, Uncle Seah and Aunty Madeline have been married for 56 blissful years. I am just amazed by how their love for each other grows deeper as the years go by. Just the way Uncle Seah looks at Aunty Madeline, everyone around can tell the depth of his love for his bride and the amount of attention he gives to her is unparallel! Even the zeal and zest of young men wooing their love is not as strong as the love and attention that flows out of Uncle Seah so naturally. The second couple, Tardas and Lenny, is married for 23 years. Although they do not have their own natural children, they have given their lives to so many young people who are now their spiritual children. Their one heart in serving The Lord, even if it means sacrificing their own comforts, blesses me so much. These two couples are godly examples for me of a Christ-centred, loving relationship that cannot but bless the people around them. I volunteered to help them with their flowers and deco for this special day to celebrate and renew their love for each other. Flowers never fail to cheer me up! So the trips to the nursery and being in the big cold fridge full of all kinds of fresh flowers are already the perk!!! So I made 2 hand bouquets and a table centrepiece, hoping to bring some beauty into the cozy function room. Aunty Madeline requested for red roses and I made a hand bouquet for her with a single cream rose, signifying that she is Uncle Seah’s one and only. Aunty Lenny chose pink carnations but the pink hydrangea looked too good to be missed and it turned out really sweet and matching to what she was wearing! I had a great time with Christina who was my co-“wedding” planner and we ran around getting all the stuff needed to make the evening special and pretty and also coordinating the logistics. It was a very touching evening especially when they exchanged their vows with words from the bottom of their hearts, and not the usual scripted ones we hear at weddings. It shows that in the increasing rates of divorces and broken marriages in the world, marriages that are genuinely built in Christ and modeled after Christ’s love can still exist and it is a possible reality of faithfulness when couples vow “till death do us part”. Here are some of the photos for you to share the joy!!! Christina on the Mac doing up the slideshow of photo montage with music from the 50s and 60s!! One night, I was with my late father and his friends crossing a major road after a late dinner. The 8-lane road was really quiet at that time. The whole bunch of us stopped at the middle divider after crossing 4-lanes to look out for traffic from the other side of the road. After which, I have no recollection of the events that followed and all of it was related to me by my dad. A fast-moving motorcycle came really close to the middle divider and hooked onto me. I was dragged along with the motorcycle for a distance while the cyclist jammed his brakes. The abrupt stop catapulted me to about 11 metres away from the where the motorcycle stopped, and the motorcyclist was flung 15 metres away. The next thing I remembered was opening my eyes in a hospital bed. I was confined to the bed for almost a week. I had no broken bones and there were no visible wounds or injuries on my body. You can imagine how difficult it was for an active 11-year-old to stay in bed the whole day. The reason for the bed confinement was for the fear of head concussion. When I flew off from the grips of the motorcycle like a supergirl, I landed head down against the concrete road. Just imagine how huge the impact of the fall was upon the head considering I had no other injury on the rest of my body. In my one week of confinement, my head felt a little strange and stiff but other than that, no abnormality. Finally they let me off the bed. First thing I did was to go to the sink to wash up with running tap water. This was the first time I saw myself in the mirror. To my horror, the left side of my face was completely covered with dried blood and wounds from the accident. Just imagine the wound a child gets when he has a nasty fall on his knees on a road. This wound multiply at least ten times, all on the left side of my face. I honestly look like a horror movie demon that just walked out of a film set, perhaps even more horrific looking than creature coming out of the screen in The Ring. Thank God that I was discharged a week after when the neuro team of doctors were certain that there was no concussion or any brain damage. Since it is a neuro team, they did not quite treat my facial wound. I was discharged without any medication for my face except some disinfectant lotion to clean the wound. The wound was left open without bandage as well. By then, some bruises on my legs and arms started to surface but nothing serious. My parents took good care of the facial wound. They cleaned it diligently everyday and after a month or two, scabs of the wound began falling off revealing pink new skin beneath. The healing process was miraculous. I have ZERO scars on my left face. I stand amazed by the sheer fact that a fall on the knee leaves scars and I have scars on my face from pimples, but there is absolutely no sign of this major wound on my face! It is by God’s grace that I am alive from the accident. 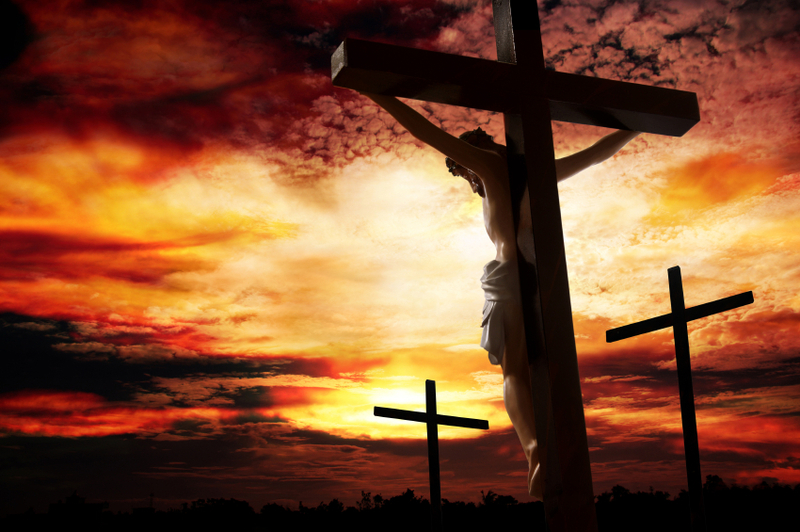 Yet, beyond that He has His angels protect me that I have no broken bones and no head injuries. The only visible wound on the face, He miraculously healed it COMPLETELY! It was because of this, I chose to be baptised the following Resurrection Sunday as I know that my life is not my own but Christ’s. P.S. I wished we took photos of my face after the accident but we didn’t have any. Even the newspaper report of the accident had no photos of me. Perhaps out of compassion, the people did not want to keep records of such a hideous wound. Even so, to God be the glory!